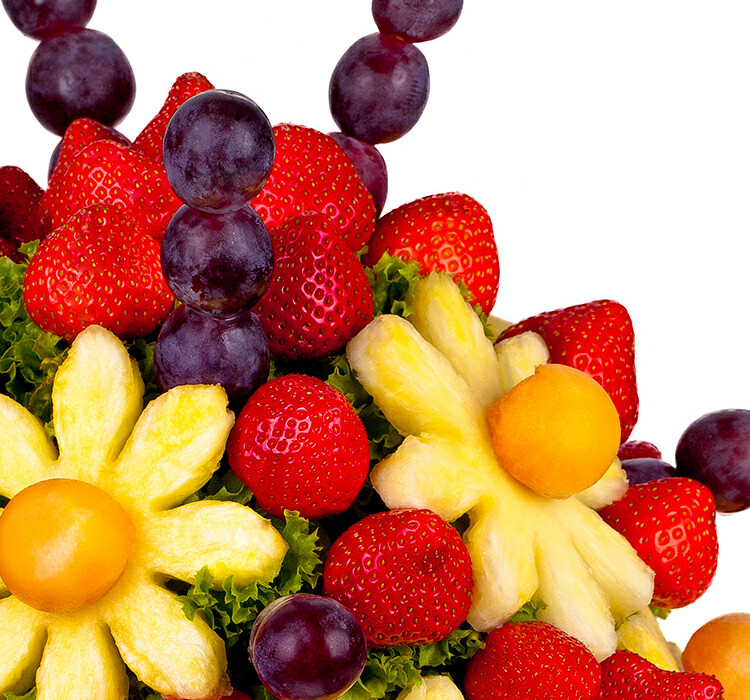 Strawberry flower is created from the freshest and sweetest strawberries. 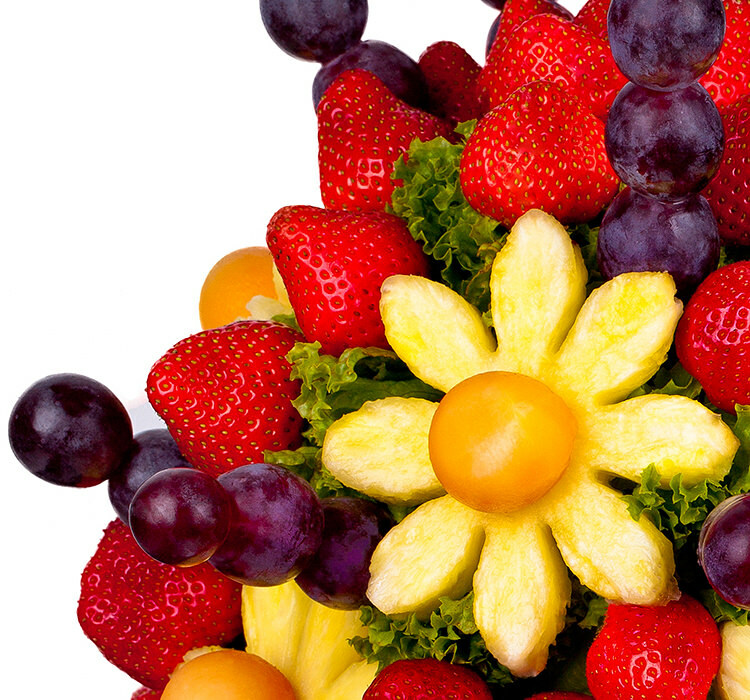 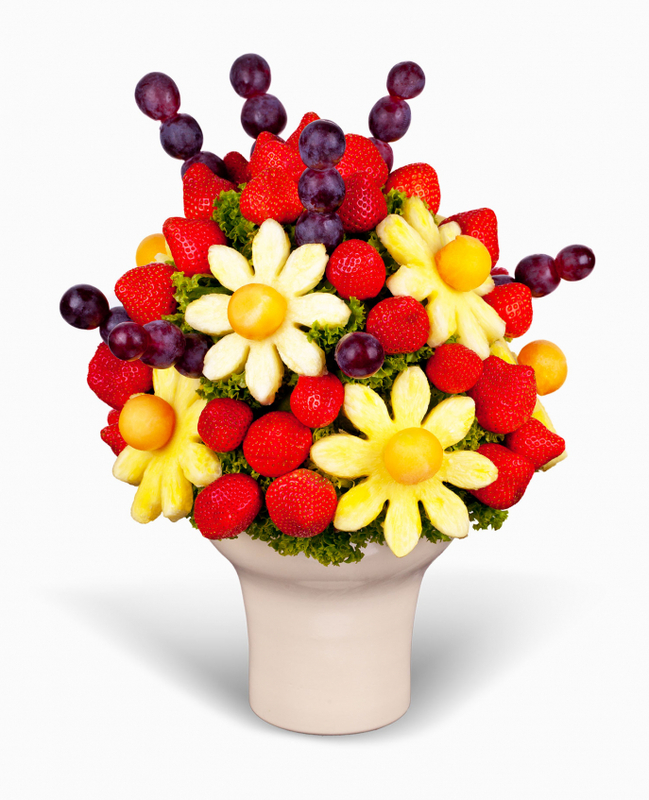 Fresh strawberries and pineapple daisies arranged into a beautiful bouquet which will surprise lucky receiver . 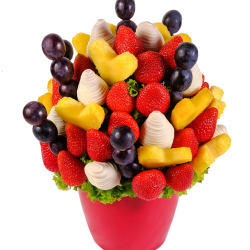 Strawberry flower is sweet present which has beautiful appearance.Original and healthy gift full of vitamins is ideal as a surprise for boyfriend / girlfriend on birthday, Valentine and other important events. 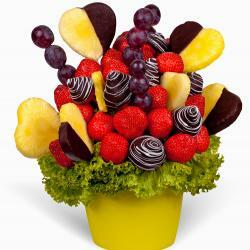 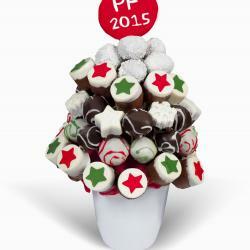 If you love strawberry and chocolate combination you can order chocolate strawberry flower. 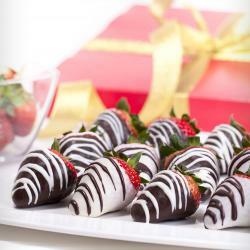 If you love fresh, fragrant strawberries, but want to add some chocolate to them you can .On Extra gifts section you can find extra white chocolate, milk chocolate ,extra chocolate dipped bananas, chocolate dipped pineapple hearts which you can write your message etc. 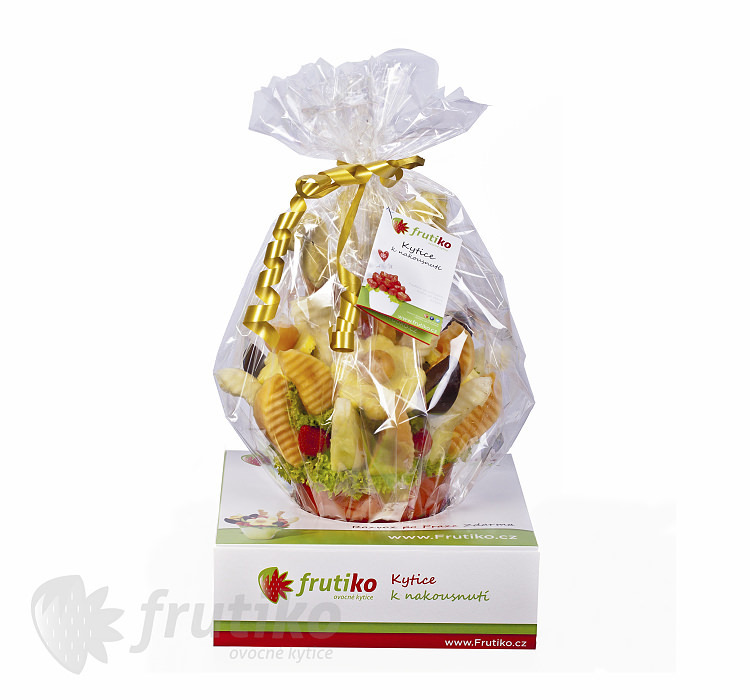 With these extra products bouquets are completely changing.